Cold Steel, and Colder heart. A reign of Terror is about to begin that will test the hearts and souls of all fellows, be they foul or fair. 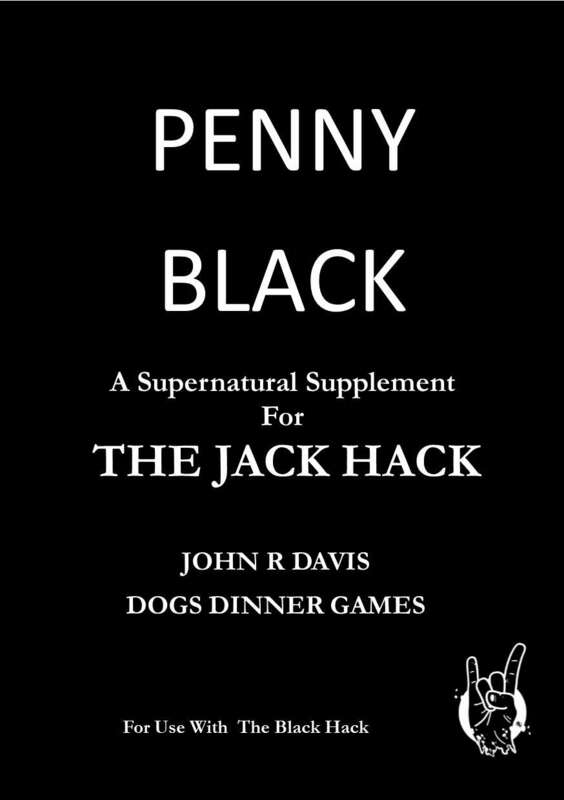 This game requires a copy of The Jack Hack & The Black Hack rules to play. The Jack Hack is a game of beating the odds in the depravity of late Victorian London. It has particular focus on the Whitechapel area around the time of the infamous Jack the Ripper murders. Where The Jack Hack found the mundane to be vile and terrifying, the Penny Black can set a more Dreadful tone.